This is a taxation law problem meant to solve Jill’s income consequences for the income year 2017/2018. 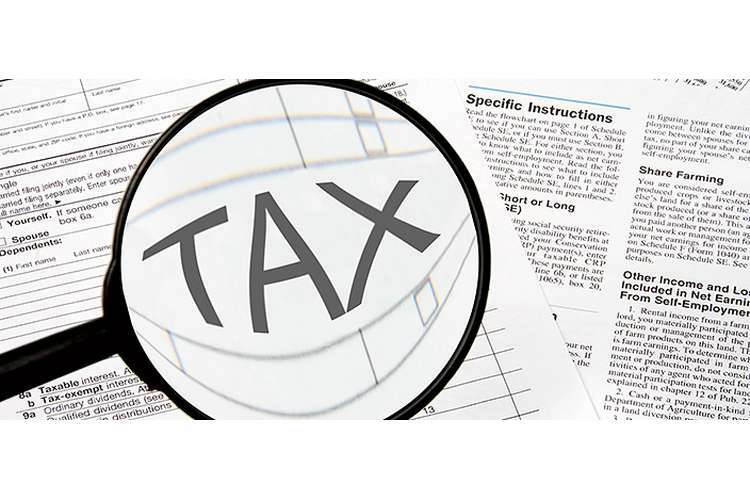 It is meant to address the issue management of the total payable tax of that year in regards to annual income. This entails a law of regulating the administration and collection of tax. (1) whether the amounts/benefits Jill acquired are taxable in the sense that they will be included in her assessable income (2) whether any expenditure that she incurs will be taxable for Australian income tax purpose. The plaintiff involved in this case is Jill who despite working, has a lot of business contributing to her income as a whole and is need of advice on the consequences of the various transactions she undertakes. This case will be assessed under laws governing taxation in order to deduce the total deductible amount for Jill’s annual income and other expenditures (Halliday & Shaffer, 2015). There are numerous types of duty to which Australian organizations are subjected. In Australia tax assessment is controlled by and payable to every one of the three levels of government: Commonwealth, State/Territory, and neighborhood. In this case the tax payable are the income tax imposed on the assessable income of Jill or her business in the given year. It is a taxation rule that every business must lodge a levy yield for any year in which it carries on business (Hopkins, 2011). In this case deductions carried out on a business can include: interest earned on loans, fees paid to banks, employee wages and payments on lease for business premises. The prize money and incentives that are as a result of successful pursuit of business activities are considered taxable evidenced in the case of stone (Commissioner of Taxation v Stone (2005) 215 ALR 61). In the case Anstis v FCT  HCA 40, the court argued out that youth allowance was assessable income and that taxpayer’s education expenses were incurred in gaining or producing that income. Taxation consequence of each amount. In every taxation consideration must be put on both the amounts gained and the amounts for expenditure. This consideration should be sufficient in regards to law in that it should meet all the legislation set aside by the law. This is to ensure that the amount to be deducted is right and does not vary from the required amount. Tax will be imposed on her salary in regards to the ATO ratings since employee wages is considered as a taxable business deduction. Her salary is deductible at source since the applicable system in Australia is pay-as-you-go(PAYG). In addition, her bonus for the year is also taxable in that it is considered as supplemental income. This mainly involves the addition of the bonus fee on the employee’s salary and calculating PAYG. The tax to be withheld from a bonus is capped this implies that it is calculated by meeting some set out principles in regards to law (Friedman & Hayden, 2017). A deduction is to be considered for the taxi that takes Jill home, since it’s a cost of trip that she undertakes in the course of performing her work, even if its between work and home. In addition, the main reason for Jill to use a taxi is because she stays until late performing her work. Jill will be taxed on the basis of goods and services tax due to buying of the contemporary suits, shirts and other ordinary items of clothing. This involves an imposed rate on most goods and services regarded as value added tax. This is done on most goods with an exemption of a few like long term accommodation which is taxed at a smaller effective rate (Parker, 2018). The awards that Jill receives are not susceptible to taxation in that they are considered as exempt income and are not included in the assessable income. This means that these small rewards are not declared as part of the taxable income. Taxation can only happen if the rewards received are part of a business-like activity. Evidently the rewards received were not inclined to a business scheme (Braithwaite, 2007). The supplement income Jill is receiving form the CorpCo is taxable. This is regarded as taxable income since it’s a wage considered as business deduction. Jill cannot claim the travel expenses, since this is considered as private travel. The key reason is that the travel from hone to work is considered private, which relates to both of her works. This cannot be considered as expenses incurred in course of performing work duties (Bajada, 2017). Jill business of sewing curtains for sale is taxable in regards to its gross income. The income imposed on this will involve the federal income tax. The business taxable income will be calculated by deducting the claim on transport cost incurred during the travels to people’s homes to take measurements. This implies that she can claim the transportation expense since it involved work duties (Fox, 2013). Tax will be levied on both the books she was selling. This is considered a business since she was after making profit from the three books by increasing the buying price of each books (Woellner et al 2010). The books will be treated as property and taxed. It is treated as a profit made on an asset and as such it is in within the boundary of taxation. The interest paid loan that Jill had got from the bank is taxable on the annual income. Though it is possible to claim deduction relating to expenses incurred in realizing the interest. The stamp duty signifies the tax duty payed in the purchase of the property which is paid in relation to state in which property is located (Tiley, & Loutzenhiser, 2012). The legal fees paid is deductible because Jill being the tax payer is going to use the property to earn assessable income. This makes the payment susceptible to prepayment rules (Becker, Reimer & Rust, 2015). The amount of rent received from the tenants is considered as assessable income and is susceptible to taxation. To get the taxable income for the property rent payment, Jill needs to deduct the expenses incurred over the year, these being the council rates and water rates. The insurance premium on its own is taxable by applying the company tax rate on the 10% method. The insurance cover for the destroyed property is taxable, since the property was used to generate income and is deemed taxable under the Australian law. Tax is imposed on insurance payouts that has been used in production of income. This is mainly calculated by subtracting the cost base of the property from the insurance payout to calculate whether Jill made a capital gain or loss. Basing on the facts provided, the best advice for Jill is to calculate her tax keeping in mind the total tax payable is calculated by deducting the expenses incurred to obtain the annual taxable income. Jill needs to include all the businesses strategy she is conducting in a realization of the year taxable income (Lang, 2014.). Considering she got a capital loss in relation to the destruction of the rental property, Jill will be required to pay up the loan acquired for purchase of the property. This can be done by using the insurance compensation fee to settle a portion of the debt and the rest she can settle later as per the terms agreed prior to the loan. The expenses susceptible to deduction should be considered in view of trying to minimize the taxable income which is done by claiming the expenses. 1. Becker, J., Reimer, E. and Rust, A., 2015. Klaus Vogel on Double Taxation Conventions. Kluwer Law International. 2. Braithwaite, V., 2007. Responsive regulation and taxation: Introduction. Law & Policy, vol29, no.1, pp.3-10. 3. Bajada, C., 2017. Australia's Cash Economy: A Troubling Issue for Policymakers: A Troubling Issue for Policymakers. Routledge. 4. Fox, K.J. ed., 2013. Efficiency in the public sector (Vol. 1). Springer Science & Business Media. 5. Friedman, L.M. and Hayden, G.M., 2017. American law: An introduction. Oxford University Press. 6. Halliday, T.C. and Shaffer, G. eds., 2015. Transnational legal orders. Cambridge University Press. 7. Hopkins, B.R., 2011. The law of tax-exempt organizations(Vol. 5). John Wiley & Sons. 8. Lang, M., 2014. Introduction to the law of double taxation conventions. Linde Verlag GmbH. 9. Loo, E.C., 2011. The influence of the introduction of self assessment on compliance behaviour of individual taxpayers in Malaysia. 10. Parker, H., 2018. Instead of the Dole: an enquiry into integration of the tax and benefit systems. Routledge.